When the weather is the approximate temperature of late May, and the sun shines on every park and dog in Tulsa, there are seemingly unlimited options for how to spend an evening with friends. There’s Guthrie Green, the lakes within 30-45 minutes, Drillers games, outdoor music, festivals, endless patio dining, and the list goes on. But, when the 4 months of cold take over Tulsa in November we start to see Tulsans stumble around in their homes at a loss for ‘what to do tonight’. 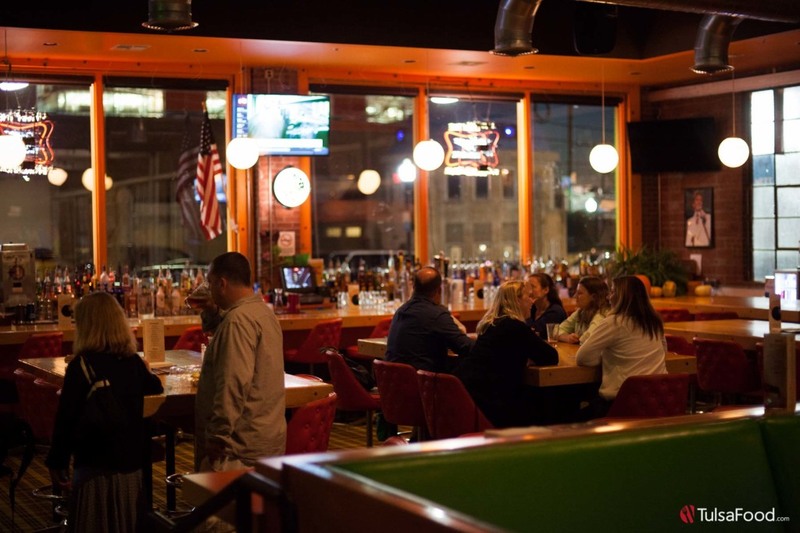 When, in fact, there are plenty of options for getting out of the house, or going out after work to enjoy the local food and entertainment scene. 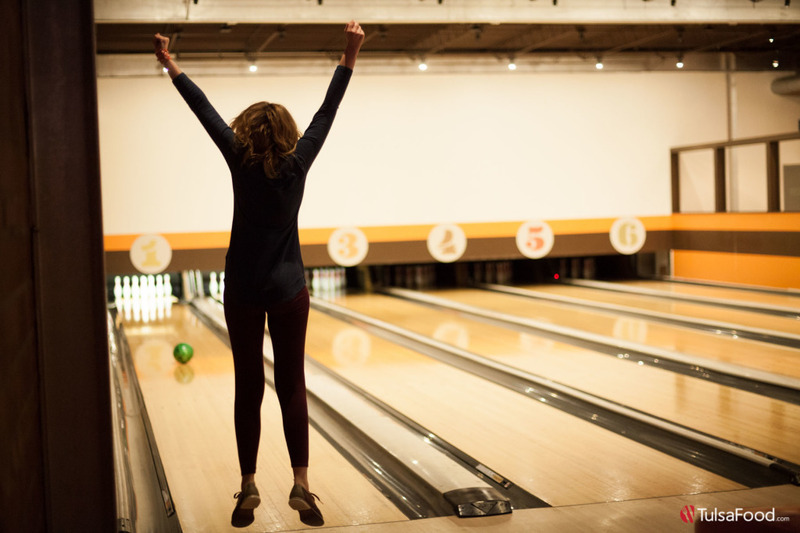 One of those solid options is an evening of tasty pub grub and good, fun bowling with friends. For this, TulsaFood recommends the tot-centric tasty bar food, drinks and bowling at the Dust Bowl in the Blue Dome District. Let’s state the obvious first. 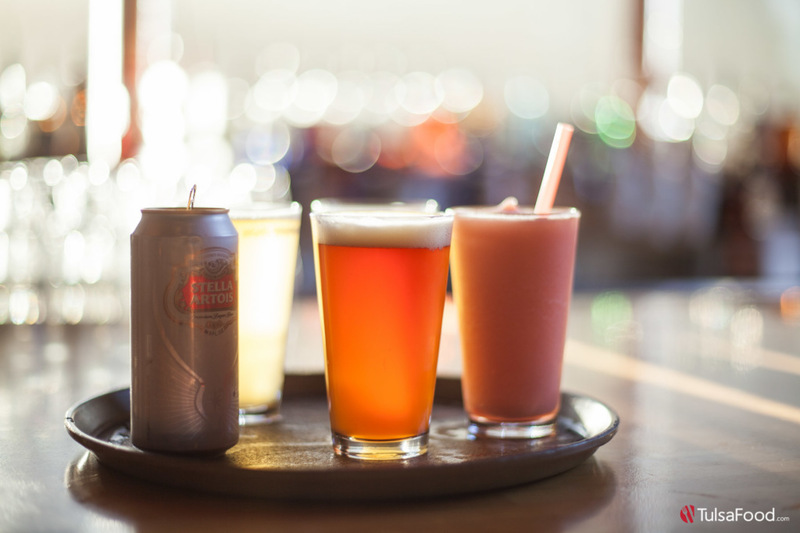 If a typical bowling alley franchise opens a new location and offers food, you naturally expect the fare be tolerable (at best) with a limited selection of domestic beer. 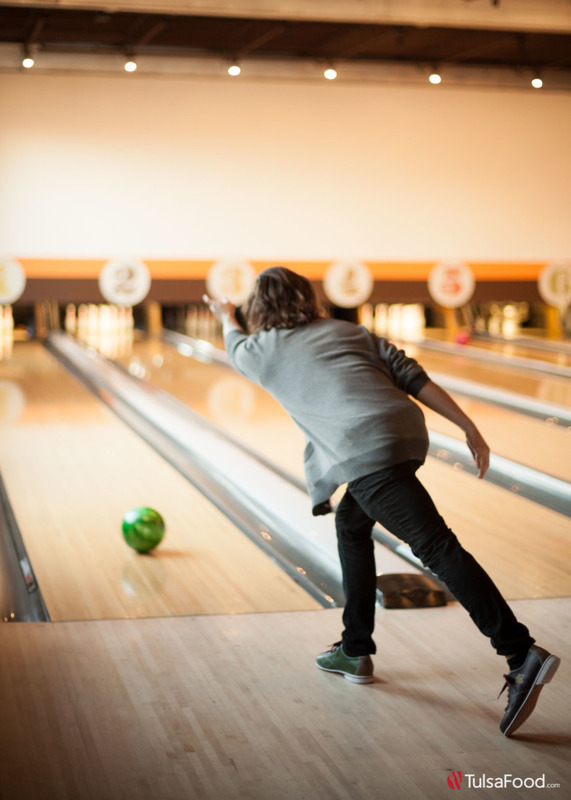 Yet, when a Tulsa restauranteur decides to open up a bowling alley concept downtown, the result could be much different. These results are, indeed, much different with the Dust Bowl Lanes and Lounge by the McNellie’s Group. 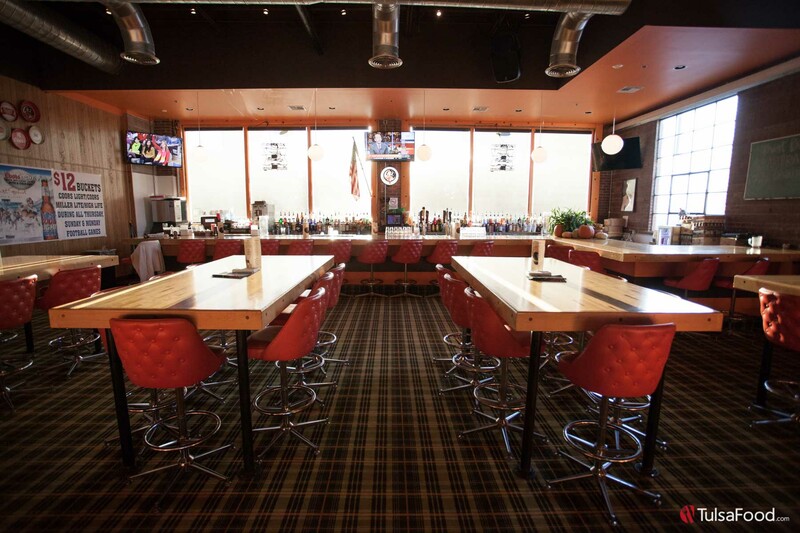 Original, affordable and satisfying bar fare supported by a full bar with plenty of craft beer options makes this a unique destination for both food and fun without breaking the bank. So, on this particular cold evening our group of 5 simply asked the question: “Where can go for for a few hours to get good cheap eats, have something to ‘do’, and imbibe together.” It was right after work, but we knew that Dust Bowl opened at 4pm so we agreed to head that way. Now, at this point, it’s important to note that everyone in this group of 5 friends are relatively horrid bowlers – truly bad. But, that’s the beauty – who cares? And who knows, maybe there will multiple rounds of beers purchased as the result of friendly wagers. Or, perhaps there will be one shining moment when some excited European chick in our group jumps for the sky because she finally got her ball to go straight down the middle. A truly magical moment. This place is pretty cool actually, and it can be tough to get a lane immediately upon walk-in at certain times during the week . It’s 8 lanes of totally authentic 1970’s retro style bowling. (6 lanes in the public section and 2 in the private room). 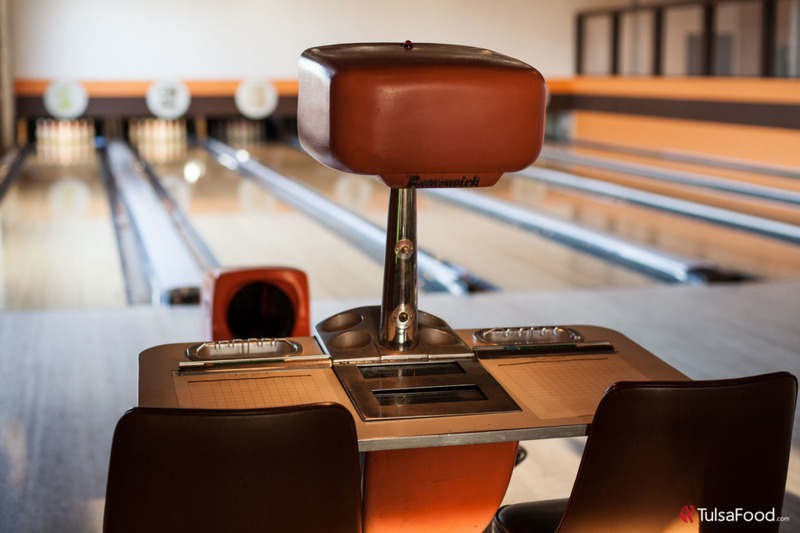 Like many Gen Xers, my very first childhood bowling alley memory in the early 80’s was a place that looked a lot like this, except with hanging clouds of smoke. No electronics, no screens, and thus no automatic scoring. Classic. And the following must be said as a side note: It actually makes a difference in the whole communal experience. It just does. 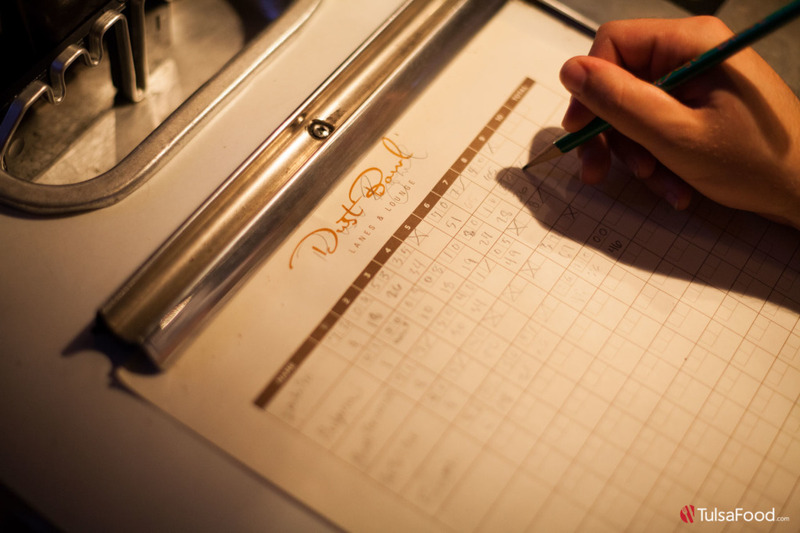 When you keep score by hand as a group it adds something real to the game you can’t get by looking up at a screen. And, when the complete focus is on the people you are with, it makes a difference. There, it’s said. And so, we laced up our shoes, ordered our first round of beverages and started the competition. We were each assigned arbitrary fictitious names by a gal in our group who wrote them on our score sheet without hesitation, or permission. “Asian Persuasion” would be first up. “The Bulgarian Beauty” would follow, and so on. 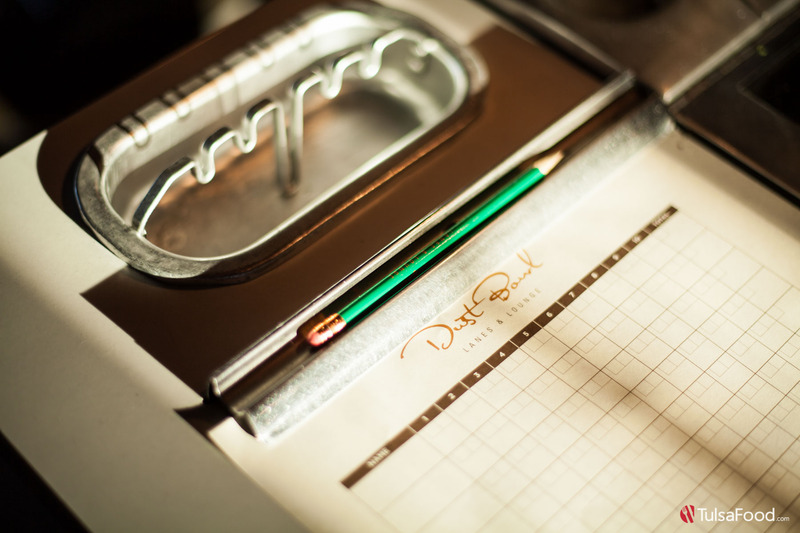 When our server, Mikaela, returned with our drinks we were ready to get the food rolling out. So, our group huddled around a menu and shotgun ordered a list of items to share. 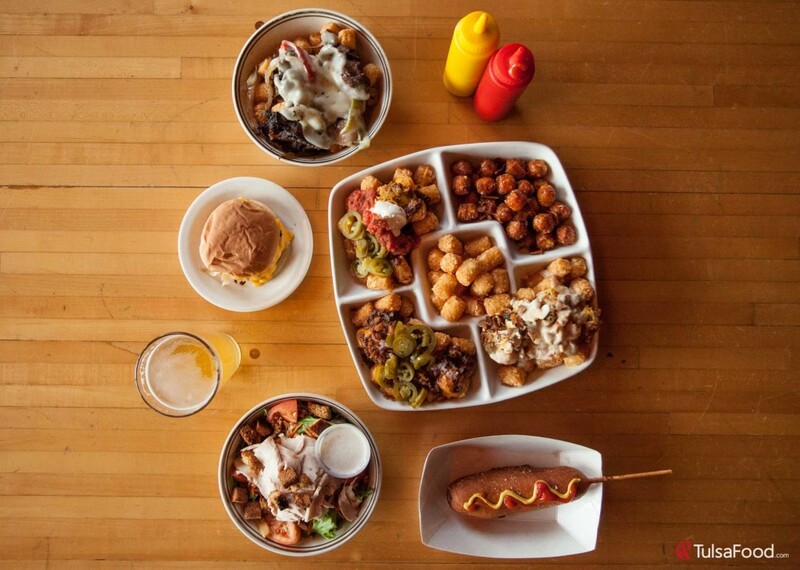 The Tater Tot Sampler for a group is the go-to first choice. 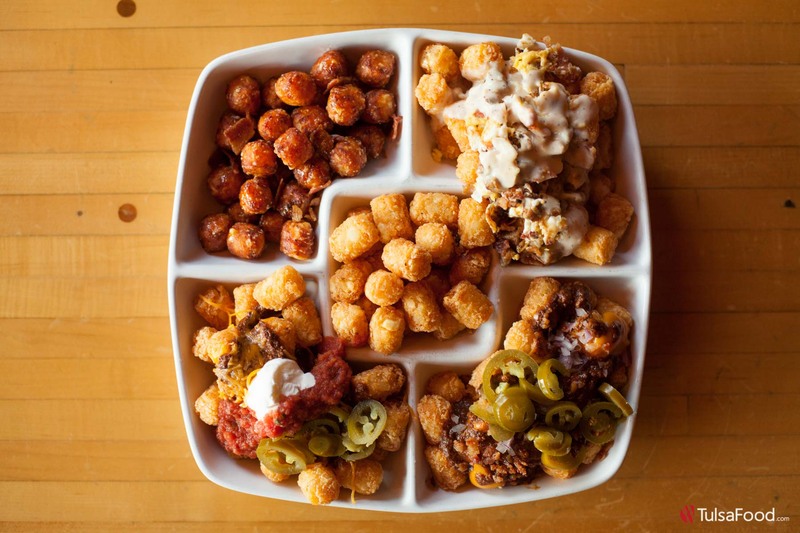 It includes 5 different styles of tots: In addition to the standard Tater Tots in the center, this massive plate includes the the Chili Cheese Tots, the Mexi Tots, the Breakfast Tots, and the Sweet Potato Tots. 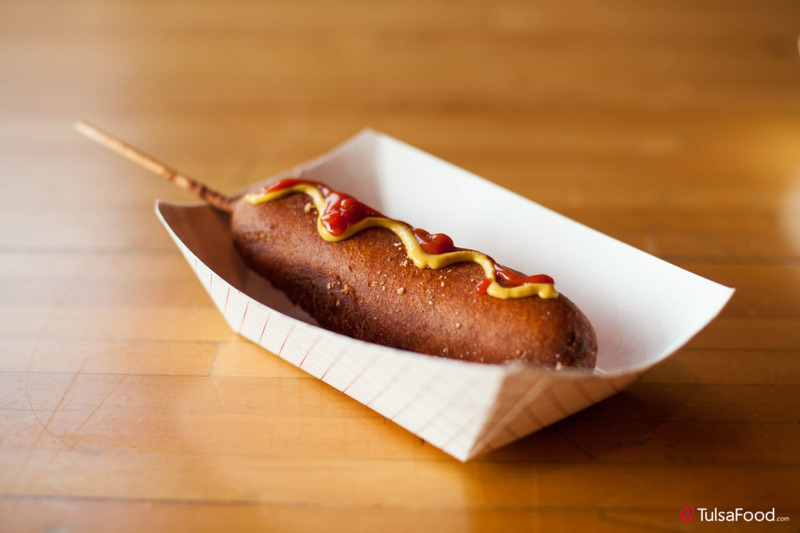 Someone in the group called out for a Double Onion Burger and someone else noted that their corn dogs here “can’t be beat if you like corn dogs” So, a random Corn Dog made the order sheet. At the last second, we added the Philly Tots and were all glad we did. The Chili Cheese Tots are pretty self explanatory: house made chili of low heat with cheese and jalapenos to make it as spicy as you like. The Mexi Tots go a couple steps further with chili, black beans, jalapeño, cheese, sour cream and salsa. The Breakfast Tots are, perhaps, the most unexpected variation with topping of scrambled eggs, bacon, sausage, and gravy. And the sweetest tots in contrast to all these savory creations are the Sweet Potato Tots with bacon and maple syrup. 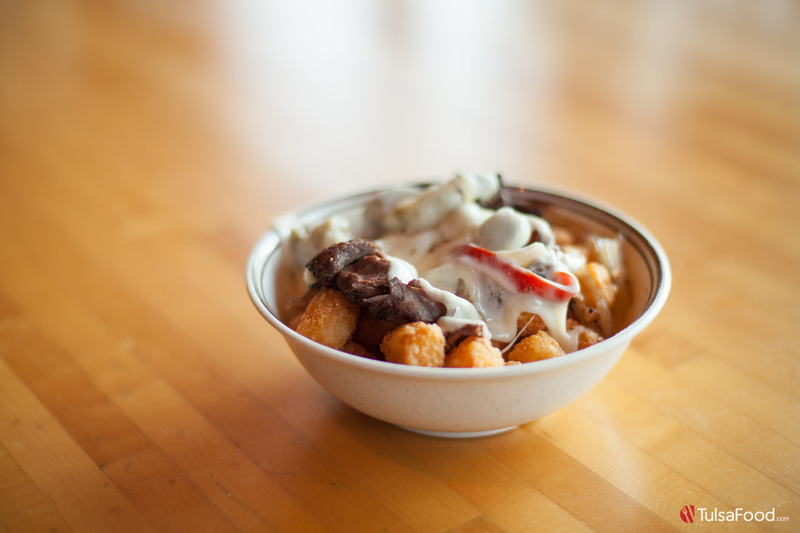 Finally, the Philly Tots are topped with (surprisingly for a bar) quality shaved steak, onions, peppers, and melted provolone cheese. Needless to say, we were comforted on this brisk evening by these filling treats. 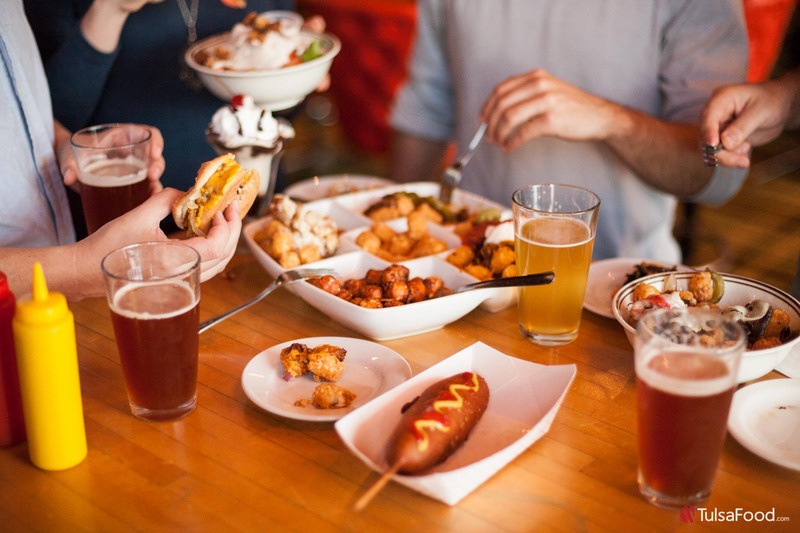 But, what strikes me the most is that offering different types of tater tots is not simply a way to do bar food differently, it actually works remarkably well for the group wanting to ‘graze dine’ together while they bowl and interact. 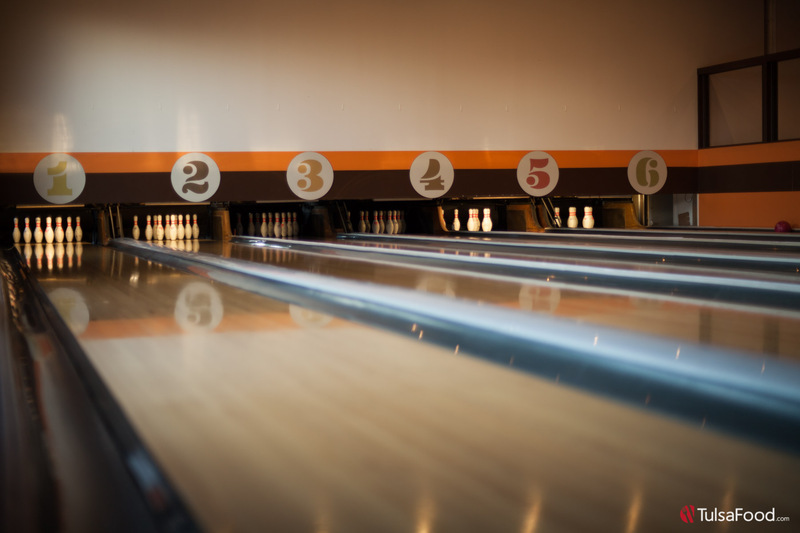 Another example of a restauranteur putting food and community central as they innovate around the idea of building a bowling alley in downtown Tulsa. At the end of the evening we looked at the clock, surprised that we had just spent over 4 hours together eating, drinking, laughing, and bowling. The beer is cold, the service is prompt and friendly, the food is unique and satisfying, and the atmosphere takes you for a ride in a time machine. For these reasons, and more, a feature article on The Dust Bowl has been long overdue by TulsaFood. So, this winter we suggest you grab some hungry and thirsty friends, some bowling shoes, a pencil and score sheet, then see what happens.